There are times I decide to skip dinner and just head to bed only to realize that I am hungry after all. Now this just ruins my very much needed sleep. Finally I have found a fix, thanks to Swiggy. They give you the option to dine at home from your favorite restaurants which remain open till 11pm but which do not do door delivery. I chose to have the What a Bomb Burger and Grilled Chicken & Feta in Pita Bread. 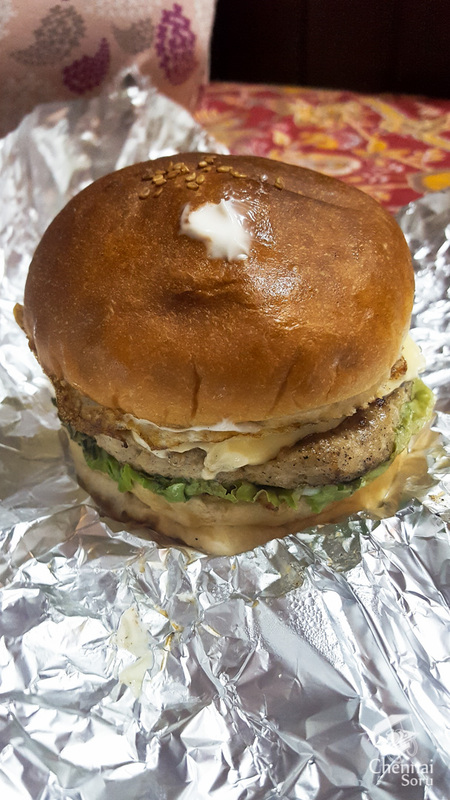 Chicken was tender, served with fried egg and a big serving of mayo made it a proper greasy burger. Only grouse was that the bun just did not hold together till the end. I was hoping for a pita pocket filled with the Grilled Chicken & Feta, but this was more like a deconstructed wrap. Filled to the brim with Grilled Chicken, Black Olives & Lettuce. 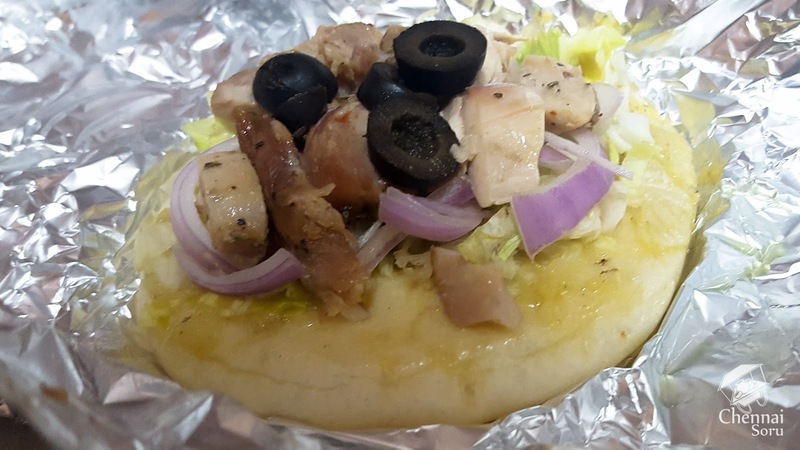 The soft pita bread made the dish a delight. Swiggy did a fantastic job of delivering the lovely mid-night snack way past 12am in the night. The deliver tracker is a boon. Disclaimer: I paid for the meal.